This has been some super cold weather last few days. I have been totally staying inside and not going anywhere. This morning with wind chill it feels like -42. I have not been doing much photography but I feel this time has given me some time to edit and really consider where I am going to go creatively in 2019. I am really going to try and write more as well. This blog is a lot of fun and for personal growth as a writer I should really give it a shot. I never really did feel like writing was my jam which is why I was more into creating images with sketches and now with a camera. I prefer to allow my images to speak for themselves rather than try and write. I also want to get back onto working on my YouTube channel. I think it would be fun to show more video work with my cameras. Possibly mix in some video from my gaming and blend it in with photography work. Throw in some photography tutorials along the way. YouTube has been something I have ignored for a long time and I really think it could be a fun way to expand on being creative with photography. I hope if you're somewhere caught in this polar vortex you're staying warm. Enjoy the day and look for ways to be creative in your own life. Without creativity this world is a super dull and boring place to be living in. This year I have made some decisions with my photography. I have shot all kinds of things in my journey with cameras. For 2019 I want to really shoot more for myself and for creative reasons. I love portrait work so I plan to continue shooting TFP work with people to try out creative ideas. Also my home is for sale and we're not sure what the future holds or where we may move. I really want to try to focus on a mix of art, photography and make it a personal project to focus on creating stronger images, ideas and push my creativity with it. Basically going back to school with myself as the teacher. I am going to revamp my website and social media to reflect this personal journey. Please hang out and check in from time to time to see how this turns out for me. I am thankful for friends and family that support me and of course the amazing wife that supports my creative escapades. I might also try to increase my work on YouTube and create more video work. I will share the most recent creative edit that will give you a taste of where I want to go this year with my photography and art. 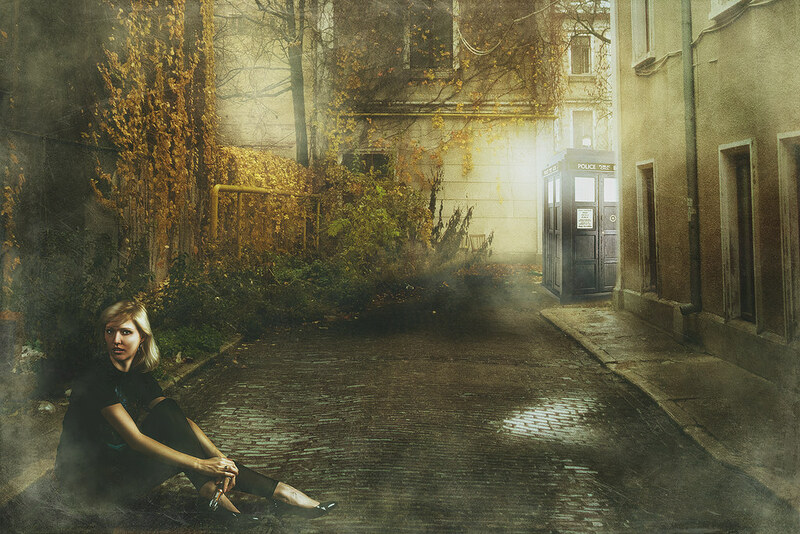 MODEL is MJ and she loves Dr.Who....so this was inspired by her outfit and sonic screwdriver she had.